Have gaming systems, movies, music, and more taking over your living room? 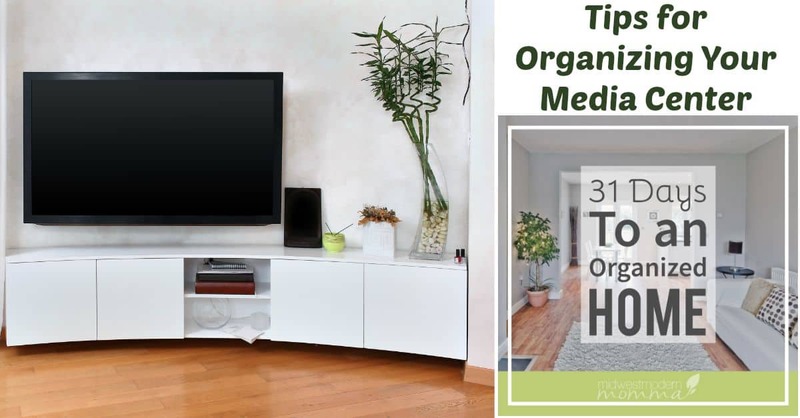 These tips for organizing your media center will help you to have a wonderful place in your home that is perfect for relaxing evenings in with the kids, gaming after the kids are in bed, or simply entertaining a few friends. 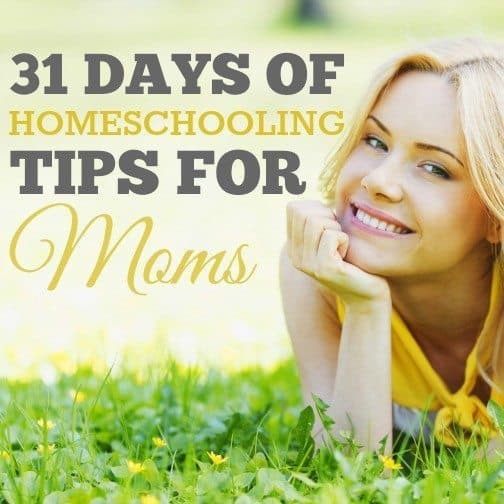 Check out the rest of the organizing your home series! If you are lucky enough to have a separate room just for movies and games, your will have a much easier time organizing your media center. If you are limited in space, these tips will help you stay on top of things to keep your limited space in order. With kids, friends and family clamoring to watch movies or play video games, it is important to keep things organized for easy access. I admit it: I'm a gamer. I love kicking back after the kids are in bed & playing Halo, Mario, or killing some zombies. We used to have a separate media room, but combined it with the living room when I set up a dedicated office/photography room. Trying to find the right media center to hold 2 gaming systems (Wii & Xbox 360), a large flatscreen TV, surround sound system, Tivo, blu-ray player, and router was a struggle. Once I let go of my expectations, we found something that works great: an old buffet. My husband drilled a small hole in the back of each of the doors & I put a gaming system in each one, along with its games. The top 2 drawers hold writing utensils, batteries, and other things I like to keep in the living room but don't want laying around. Between the 2 doors are 2 larger drawers. These hold all our family movies and gaming accessories. 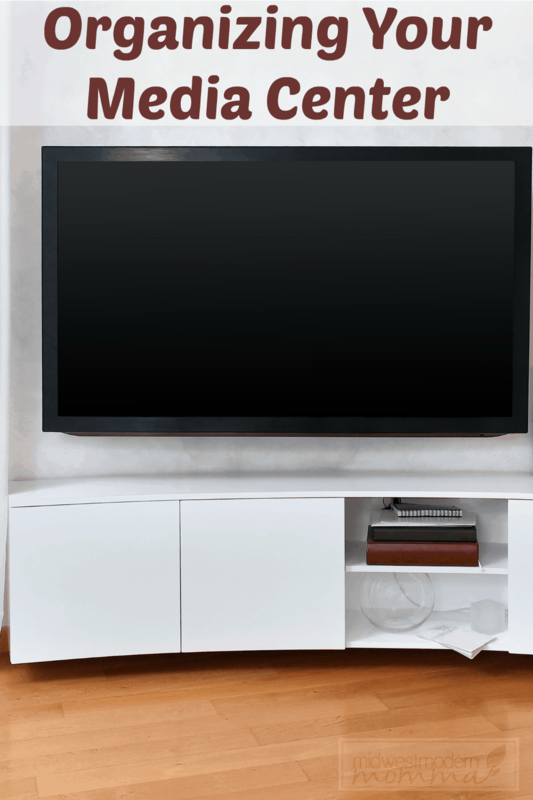 Separate kids and adults only items: One important thing to consider when creating an organized media center is to make sure you keep kid friendly items separate from adults only items. There may be times when your kids want to listen to music, watch a movie, or play a game when you aren't in the room. Keeping the adults only items under lock and key, or on a shelf too high for younger kids to reach is important. This is one of the first things to do when organizing your media center or media room. Make sure you have separated items out that your kids won't have permission to view or use without you there. Organize in appropriate shelving: There are specific shelves and cabinets made just for organizing and storing CD's, DVD's and Video Games. Traditional book shelves work in a pinch, but aren't as easy to organize. Take the time to invest in the right kind of storage for your media products. Adjustable shelving is the best bet when you wan to store multiple types of media. If you want to make it easy for kids to access, you can invest in small baskets or cloth storage bins to add some approved favorites they can easily grab and use without help. Organize alphabetically or be genre: The two most common ways to organize for easy access are to put items in order of type of product (DVD, CD or Video Game), then sort them by genre or alphabetically. This is an area that really depends upon your preferences and personality. While I prefer to have things alphabetical, others prefer to sort by genre then alphabetize. Just make sure whatever method you choose, you stick to it throughout with all of your collection so nobody gets confused. Put things away after use: Stick to this rule of always putting things away where they belong as soon as you are done using them. Having items strewn all over the media enter or room can really cause problems keeping an organized media center. Make this a standard rule that everyone follows. No matter what methods you choose to implement to create an organized media center, your goal is to be able to find and access your music, movies and video games with ease. Every family will have different needs and preferences, so adapt our tips to your home.